Peter Nightingale and Ian Gent at Falkland Palace, Wednesday, 17 August 2017. 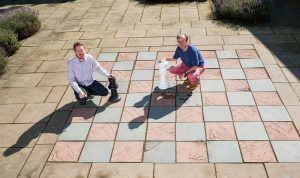 Ian Gent, Christopher Jefferson and Peter Nightingale have shown that a classic chess puzzle is NP-Complete. Their paper “Complexity of n-Queens Completion” was published in the Journal of Artificial Intelligence Research on August 30. The n-Queens puzzle is a classic chess problem: given a chessboard of size n by n, can you place n queens so that no two queens attack each other? That is, can you place the queens with no two queens are on the same row, column, or diagonal? The n-Queens puzzle has long been known to be simple to solve: you can solve the problem for all n except 2 and 3, and solutions for all other n can be described in a few lines. This very simplicity has led to repeated controversy in Artificial Intelligence (AI). The n-Queens puzzle is often used as a benchmark problem, but good results on the problem can always be challenged because the problem is so simple to solve without using AI methods. The new work follows a challenge on Facebook on New Year’s Day, 2015, when a friend of Ian’s asked him how hard n-Queens is if some queens were already placed on the board. It turns out, this version (dating from 1850) of the puzzle is only two years younger than the more famous n-Queens problem. The picture shows Peter (left) and Ian (right) with queens on the board at positions suggested by Nauck in 1850, the squares b4 and d5. Can you put another 6 queens on the board so that the entire board is a solution of 8-Queens? The general version with some number of queens preplaced on an n by n board is the n-Queens Completion puzzle. Ian, Christopher and Peter have shown that the n-Queens puzzle is in fact hard, not simple. It belongs to the complexity classes NP-Complete and #P-Complete. Other NP-Complete problems include the “travelling salesperson problem”, finding cliques in graphs, and many other important problems, from scheduling to circuit layout. This puts n-Queens Completion at the centre of the most important theoretical problem in computer science — it has long been known that either all NP-complete problems are easy, or none of them are. Most computer scientists believe that this means there is no efficient algorithm possible for solving this problem, compared to the very simple techniques long known for n-Queens. The importance of this work is that it provides researchers with a benchmark that can be used for evaluating AI techniques. Moreover, it helps to explain why so many AI techniques have been used on the n-Queens puzzle. Most techniques do most of their work with some queens partially placed, using some form of (hopefully intelligent) trial and error. 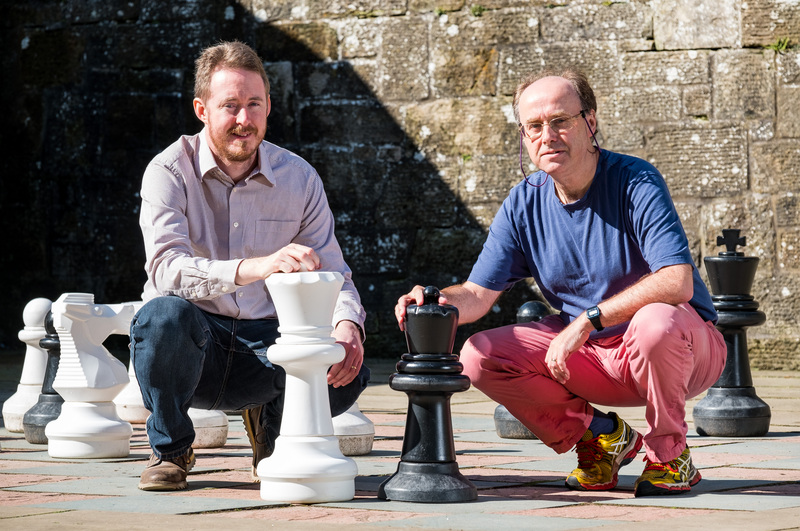 In fact it turns out that many researchers – in order to solve a simple problem – have solved it by turning the simple problem of n-Queens into the hard problem of n-Queens Completion. It does seem that AI researchers should not use n-Queens as a benchmark, but the very closely related n-Queens Completion puzzle is a valid benchmark. As well as the theoretical results, the paper shows how example instances can be generated which appear to be hard in practice. Some caution is still needed, though. It does seem to be quite hard to generate hard instances of n-Queens Completion.